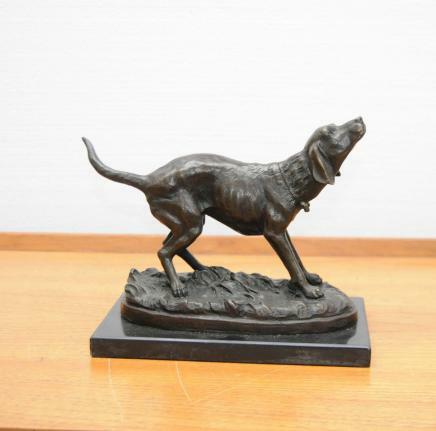 You are viewing and absolutely lovely English bronze sculpture of a labrador retriever dog. The dog is almost lifesize and is depicted sitting attentively and patiently as labradors are reknowned for. 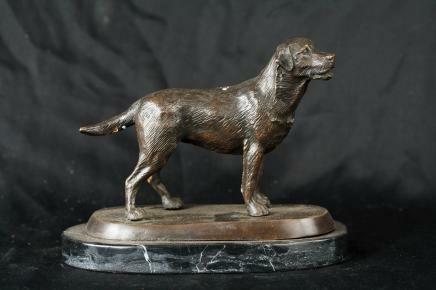 We cannot find a signature on the piece but believe it to be by an artist of merit due to the manner in which the musceltone has been captured, plus the small details like the etched hairs of the dog. 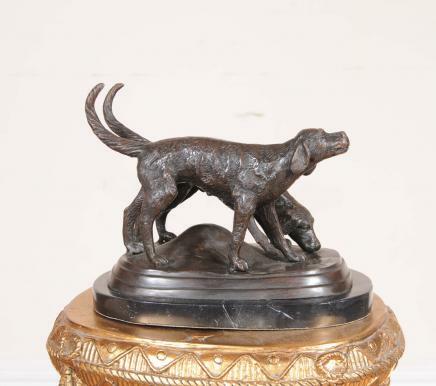 Its a gorgeous piece and perfect for all dog owners, especially Labrador owners everywhere. The patina to the bronze is a lovely nutty brown. 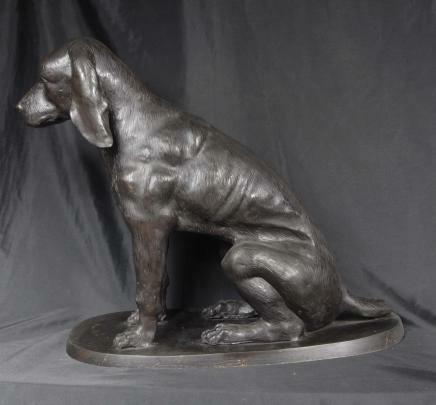 It is on a bronze base and is thus self-standing, it could live outside (perhaps with the base concreted down) as a gate post or guard dog outside. It will not rust as it is bronze. The Labrador Retriever is a breed of sporting dog, originally trained to discover and fetch killed or wounded game, principally aquatic birds or pheasants. The breed originated in Newfoundland, Canada, and was imported into England early in the 19th century.